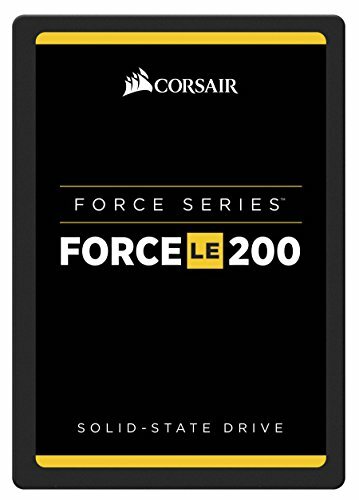 CORSAIR Force LE200 solid-state drives incorporate the latest NAND technologies to ensure exceptionally fast data transfer speeds with a wide range of capacity options including 120GB, 240GB and 480GB. Low power consumption results in better efficiency and longer battery lifespan. High quality components, enhanced error correction, static and dynamic wear-leveling, and advanced garbage collection come together to ensure maximum reliability and data retention. The CORSAIR SSD toolbox unlocks monitoring S.M.A.R.T attributes and SSD health status with support for over-provisioning, secure wipe, disk cloning, FW update and more.